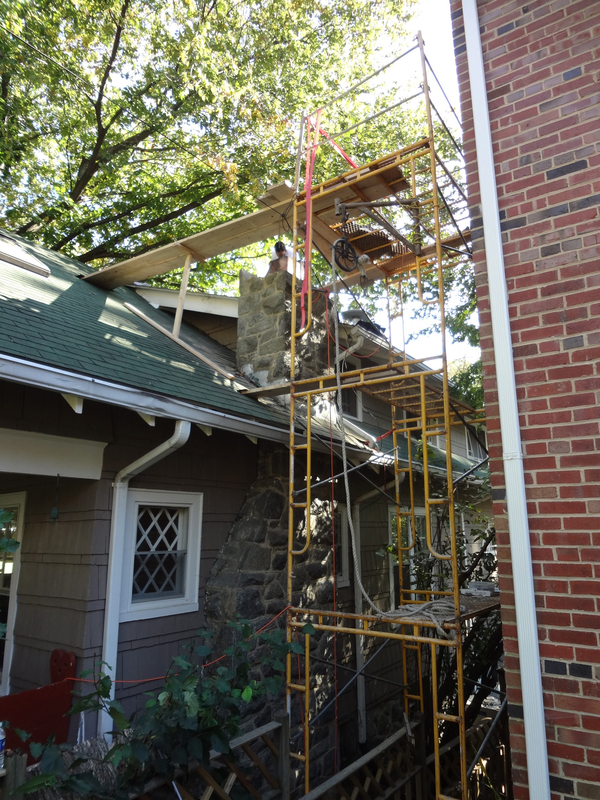 We are a full service residential and commercial design build firm serving Washington, DC and lower Montgomery County, MD. 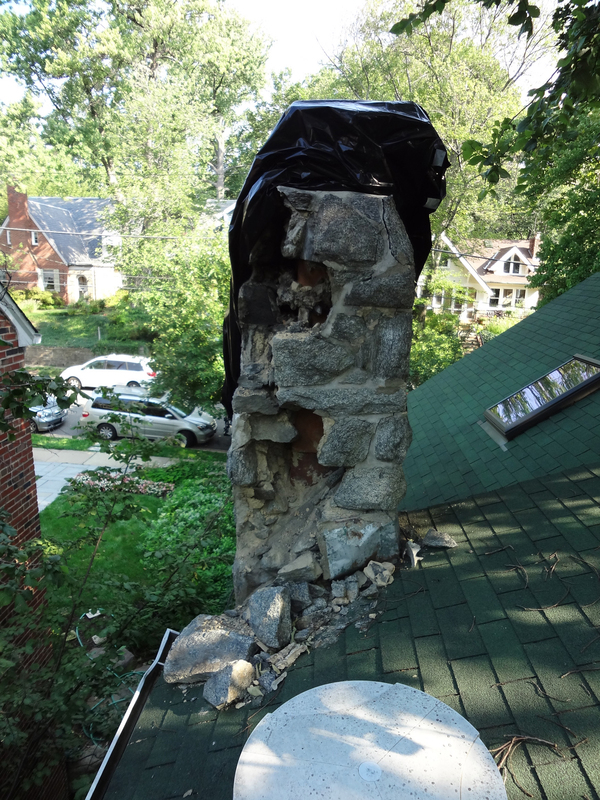 A very attractive historic chimney built with unique granite stone and mortar joints was badly damaged by the summer 2011 earthquake because of how it was originally constructed. 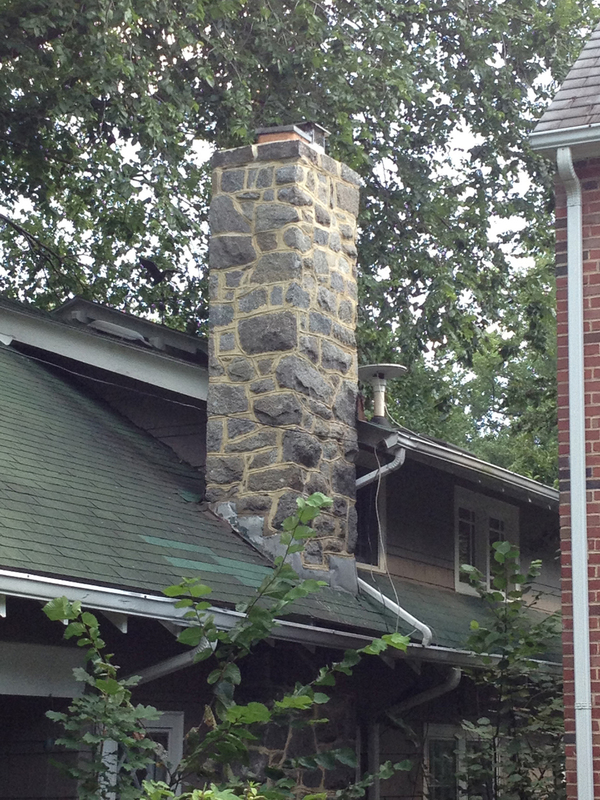 Noel DB needed to rebuild the chimney using a strategy that would meet today’s building codes while still reusing the old stone and also recapturing the original look of the raised mortar joints. Noel DB crew members were able to structurally reassemble the stone puzzle with great precision and accurately reproduced the old raised and interconnected mortar joint style.